KCR without doubt is the cleverest politician around. He has shown time and again his political acumen and sagacity. He knows how to whip up sentiment and garner votes. He also knows when to cool things off and when to retreat. Take the case of the recent Telangana assembly elections. He whipped up anti-TDP and anti-Andhra sentiment and defeated the Maha Kutami. Taking a leaf out of KCR's strategy, Chandrababu is trying to use the same kind of sentiment to defeat Jagan in AP. He is trying show some links between Jagan and KCR and wants to create bad blood between Andhra and Telangana. But, foxy KCR quickly saw through Chandrababu's game plan and changed his tone and tenor. He says he is not against the Andhraites and has not no interest in AP politics. The TRS will not contest in AP, he also clarified. Thus he has tried to cool off the tempers and bring the situation under control. This will actually help the YSRCP and cool off the issue that the TDP has raised. He repeatedly said that his fight was not with the TDP or the Telugus, but against Chandrababu Naidu. He said Chandrababu was an arrogant person and needs to be given a 'return gift.' "He is saying that KCR has worked under him (Chandrababu). Did he work under the Congress the same way? 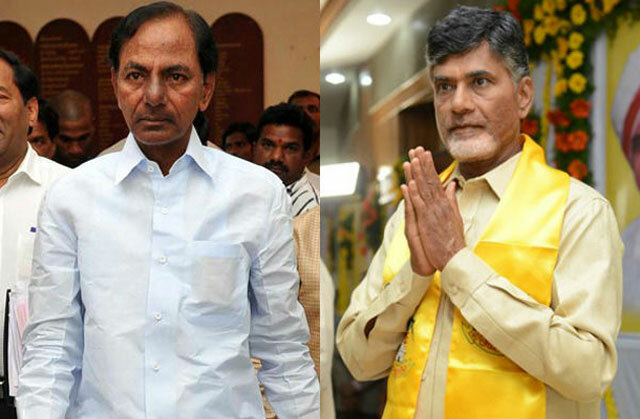 After the 2019 elections, Chandrababu would be completely wiped out," he said. On national politics too, he said KCR knows what to do and how to do in Delhi politics. He also poohpoohed Congress and TDP complaints against the TRS about encouraging defections. "What are they doing? Hasn't Rahul Gandhi welcomed Konda Visweswara Reddy? Is it not defection?," he asked.